The item Fittest on Earth : a decade of fitness / represents a specific, individual, material embodiment of a distinct intellectual or artistic creation found in Topeka & Shawnee County Public Library. 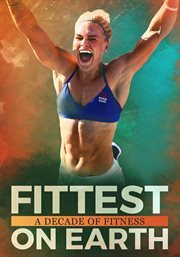 Forty of the world's top athletes battle through 15 events and five grueling days of competition for the title of Fittest on Earth. Who will rise to the top and prove the fittest?